A defendant amusement park missed the deadline to seek compensation from the school of an 11-year-old girl killed in accident at the park, but it can still try to prove the school was partially negligent in a pending trial brought by the girl’s parents. That’s according to a recent ruling by the New Jersey Supreme Court. The decision was notable for the fact that it holds third-party claims against the government to the same standards for tort claim notice as first-party claims. In New Jersey, there is a 90-day deadline to file a notice – starting at the time of a victim’s death – to the defendant government agency and its subdivisions. Still, it’s a disappointing outcome for the plaintiff parents because the ruling will allow defendant amusement park to present evidence of the school’s potential liability, which could reduce its own liability and ultimately reduce damages awarded to plaintiffs. The tragic events that spurred this case began in 2011, when the girl was on a school field trip hosted for honor roll students. The trip was organized by the school. She died after falling approximately 150 feet from a large Ferris wheel. Two years after the fifth-grader’s death, within the statute of limitations for wrongful death cases, her parents filed their wrongful death lawsuit. Subsequently, defendant amusement park filed a third-party complaint against the school, alleging negligent supervision, organization and chaperoning. While the state’s waiver of liability does allow government agencies to be held accountable for negligence, despite sovereign immunity laws (similar to what Florida has), they are subject to strict notice requirements, as it was the legislature’s intent to allow public entities to promptly investigate claims, correct conditions or practices that give rise to such claims and to prepare a defense. 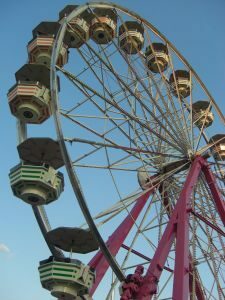 The amusement park failed to file this notice within 90 days, and thus the state supreme court ruled the lower court’s dismissal of the third-party claim was proper. Florida and New Jersey have different rules when it comes to the issue of comparative fault. In Florida, F.S. 768.81 outlines a pure comparative fault model, where a plaintiff’s negligence will will proportionally offset a defendant’s liability. Even a plaintiff who is 99 percent negligent can still collect on the remaining 1 percent in damages. 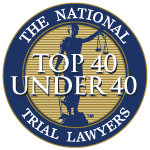 In New Jersey, there is a modified comparative fault with a 51 percent bar, meaning plaintiff’s negligence cannot be greater than defendant’s in order to recover. As our Naples wrongful death lawyers know, when it comes to joint tortfeasors (wrongdoers), F.S. 768.81 abolished the theory of joint and several liability, which allowed plaintiffs to seek full compensation from a single tortfeasor, who if deemed liable would need to use the contribution doctrine to obtain relief from a non-paying/ non-party tortfeasor. The state’s comparative fault statute, enacted in 2006, stipulates the court is only to enter judgment against each liable party on the basis of that party’s percentage of fault – not on the basis of joint and several liability. Meanwhile in New Jersey, plaintiff can seek full recovery against a defendant who is more than 60 percent liable, and then defendant could seek contribution from a tortfeasor after that for whatever was paid in excess of that pro rata share. In this case, defendant will not be allowed to seek contribution from the school, but neither will it be made to pay more than what the court deems its fair share to plaintiffs.